A jump in the generous green of the tropical nature, between the imposing smelling leaves and the charm of a vain and colorful fauna that seems to speak the same language of the flowers. An excellent idea to keep a piece of vacation in your home, or that remnant of jungle where you can dilute the desire for adventure. 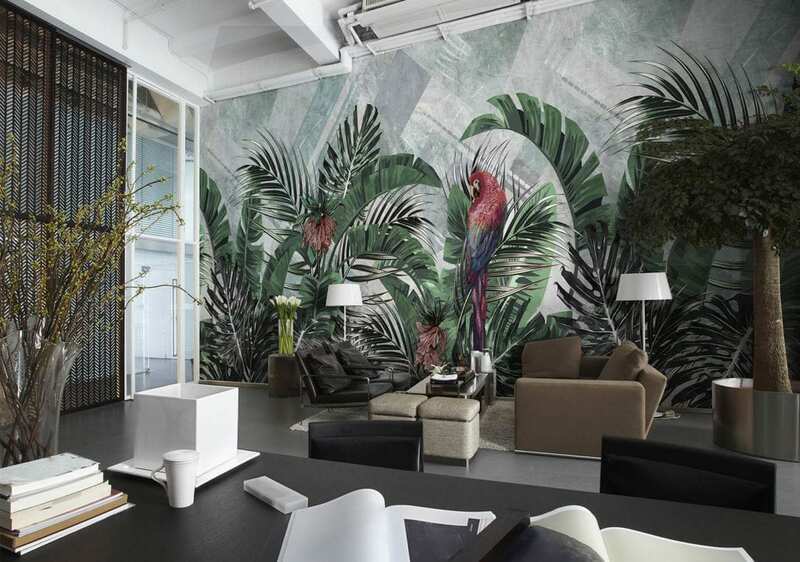 All the wallpapers of “iNSTUDIO the wall” are original, the results of our creativity and children of our passion. 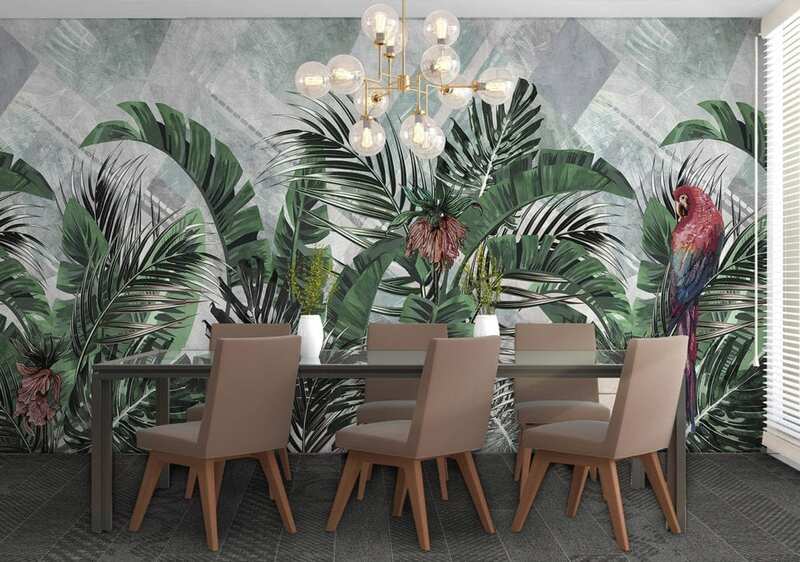 A wall enriched with our artistic subjects changes the appearance of an entire environment, creating emotions in line with the personality of those who choose them. We make atmospheres to underline the sobriety or the elegance of your spaces or to exalt their originality. 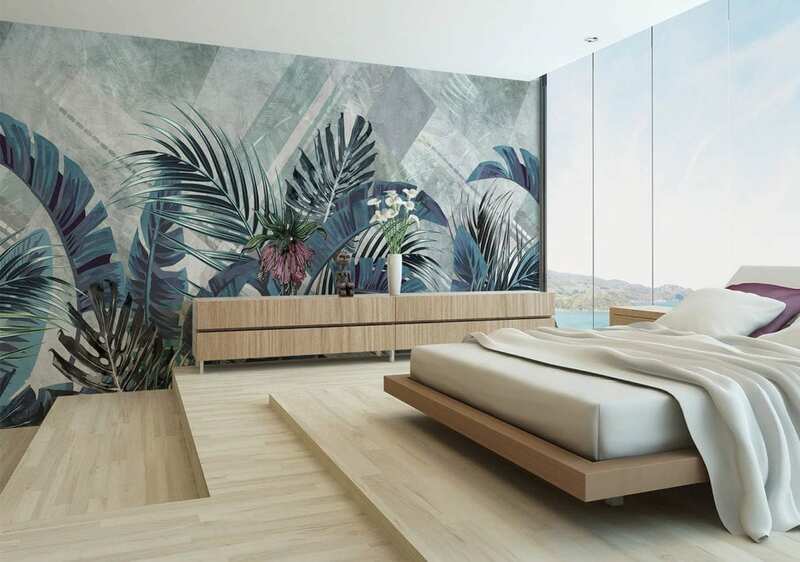 Our repertoire is constantly evolving and each project can be customized from proportions and chromatic point of view so it can adapt perfectly to your environment and your aesthetic tastes. Look for the retailer closest to you in the store locator section! What kind of material can be printed? Who can give me further informations?